1.How to participate in PlayCoin Token Sale? See this page: How to participate in PlayCoin Token Sale? How to donate on PlayCoin Token Sale? 2. What kind of cryptocurrency that PlayCoin has? PlayCoin has launched to eliminate digital and gaming monopoly; and promote better environment. Through the mobile game platform GameHub, we’ve created new cryptocurrency based on blockchain technology that cooperate with memedia like WangHong and Influencer; it is called PlayCoin. Social Mining is new feature for the next generation. You can achieve PlayCoin by using social network, games, and digital contents. This is called “Social Mining”. An individual can become Memedia creator, WangHong, and Influencer. So that everyone can enjoy with many contents. GameHub is the corporation in Hong Kong. Official name is [Game Hub Corporation Limited]. We provide game platform model of competitive mobile game to China and Southeast Asia. We provide games and its published services through GameHub App. We also promote participation of WangHong(网红) and Influencers to make more efficient marketing. So, we could strengthen the competitiveness on mobile game marketing. We GameHub provide better mobile gaming service platform. 4. What is the relationship between GameHub Korea and GameHub Hong Kong? GameHub Korea is a holding Corporation of GameHub Hong Kong. GameHub Korea manages development of GameHub App, and publishing and channeling games in Korea. Also GameHub Korea provides services and support to GameHub Hong Kong. PLAYCOIN is an Ethereum-basis cryptocurrency that issued by GameHub HK Corporate. PlayCoin is cryptocurrency created by GameHub that forms online environment, and relationship between users and advertisers. GameHub launched Mobile Game Service Platform starting from South East Asia. It is new platform business that cooperate with mobile game service, reward from advertisement system, indie game creator, and memedia. PlayCoin provides blockchain technology that connects to market participants with platform based on social reward that Gamehub created, and similar game platform as Google Play. 6. When is PlayCoin Pre-Token Sale period? PlayCoin Pre-Token Sale will begin on November 15th 2017 13:00 HKT; and it ends on November 30th 2017 13:00 HKT. 1st Token Sale will be ended if maximum targeted reached. 7. Is there any effect from participating Pre-Token Sale? Pre-Token Sale participants will receive up to 15% additional Bonus PlayCoin. For more detail, please read White Paper. 8. Can we mine PlayCoin? No. Compare to other coins like Bitcoin, there is no mining necessary. PlayCoin may be gained by watching advertisements on GameHub app, gaming play, and Influencer; this is called “Social Mining”. PlayCoin is distributed inside of GameHub environment. 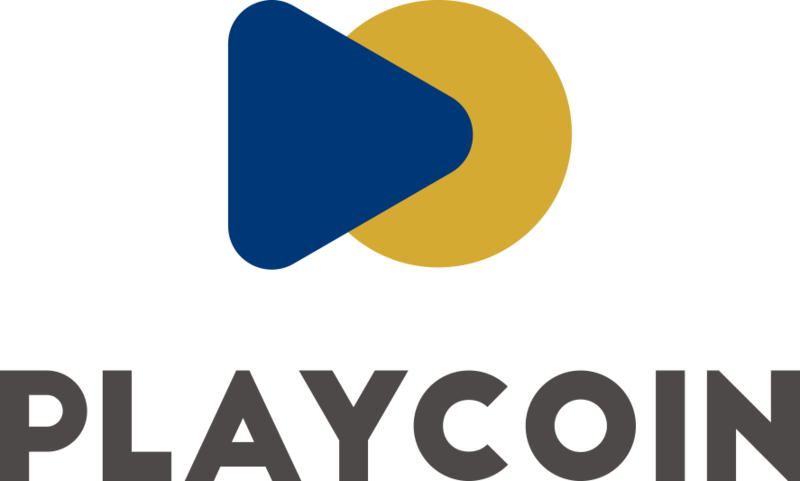 Compare to current mining system, PlayCoin can be received from profits that game creators and advertisers. A. User uses viral marketing for PlayCoin gaming environment, and digital media. B. If viral marketing is effective and created revenue, we evaluate user’s participation. C. PlayCoin may be distributed depends on user’s participation. D. Users may obtain by using social network like Influencer, and recommendation feature in social network services. 9. Which exchange that PlayCoin will be listed? PlayCoin is planning to list on more than 3 Cryptocurrency exchanges in domestic and foreign. – More than 1 exchange will be listed in 2nd quarter of 2018. More than 3 exchanges will be listed in 4th quarter of 2018. – MOU and contract description will be classified. – MOU of first exchange will announced during the 1st Token Sale period. 10. How to participate on Token Sale? You must transfer your Ethereum from current Ethereum wallet to My-Ethereum wallet. After that, you must register account on https://playcoin.game. Then, you may participate PlayCoin Token Sale after “Donation” on https://playcoin.game. 11. How to register account on webpage? You may register account on webpage after November 14th 2017 (https://playcoin.game). Whole registration will be completed after verify your account via your email. 12. What kind of blockchain technology that PlayCoin has? PlayCoin is based on Ethereum blockchain technology that Qtum blockchain has. B. Hybrid technology that shares security and expansion: Bitcoin UTXO model and Ethereum. C. Faster transaction with security through Bitcoin UTXO technology. D. Expansion of social mining through Master Contract. E. Defend security vulnerability through Qtum Ethereum community. F. Business expansion thought DAPP and Qtum environment. 13. Can I get my coins back if I cancel during Token Sale participation? Once you participate Token Sale, your coins may be returned. If Token Sale Softcap is not met, or cancel of Token Sale per se, donated coins will be returned to your wallet within 15 days. For citizen with Token Sale restricted nation, if request the dismissal, donated coin will be returned to your wallet. Because PlayCoin Token Sale takes place in Hong Kong. Even if you are citizen of Token Sale restricted nation, you may be eligible to invest on Token Sale. In this case, we are not able to return your coins. Coins will NOT be returned due to simple change of mind. Please consider carefully before participating PlayCoin Token Sale. 14. Is there lockdown period on PlayCoin through Token Sale? PlayCoin that received through Token Sale will be locked-down for certain period time. In this period, you may not transfer PlayCoin to other wallet. 15. Which wallet can PlayCoin be stored after Token Sale ended? PlayCoin e-wallet is created by GameHub platform. After Token Sale ended, PlayCoin will be distributed to Token Sale participant into GameHub PlayCoin e-wallet before listed on cryptocurrency exchange. 16. What is the total quantity of PlayCoin? The total quantity of PlayCoin is 1 billion coins. For 1st Token Sale, 100 million coins will be distributed; which is 10% of total quantity. 17. Is there any restriction on certain country? 18. How coins will be distributed? 19. What if I entered wrong wallet address by mistake? Unfortunately, it is impossible to return the coin by entering wrong wallet address by mistake. Please double check with your wallet address, when you transfer your Ethereum. 20. Can we get coins directly from cryptocurrency exchange? It is possible, but we DO NOT RECOMMEND to get coins from cryptocurrecy exchange directly. 21. How the donated Ethereum will be stored? Donated Ethereum through PlayCoin ICO will be stored into PlayCoin management account separately. Donated Ethereum will be stored safely from hackings by e-wallet hardcopy. 22. Where to use PlayCoin?